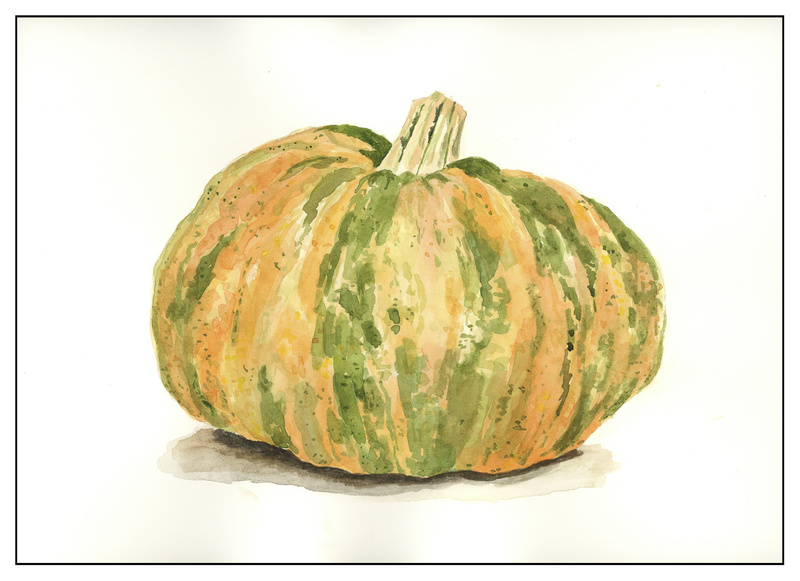 Keeping along the lines of the pear I painted the other day, using a workshop / sample class from Anna Mason, I decided to take a prime point from her lesson and apply it to a gourd. For me, the most important takeaway point was to settle the lightest and then move to the darkest, filling in the midtones once these two painting extremes are settled. And then settle these again as the painting progresses. 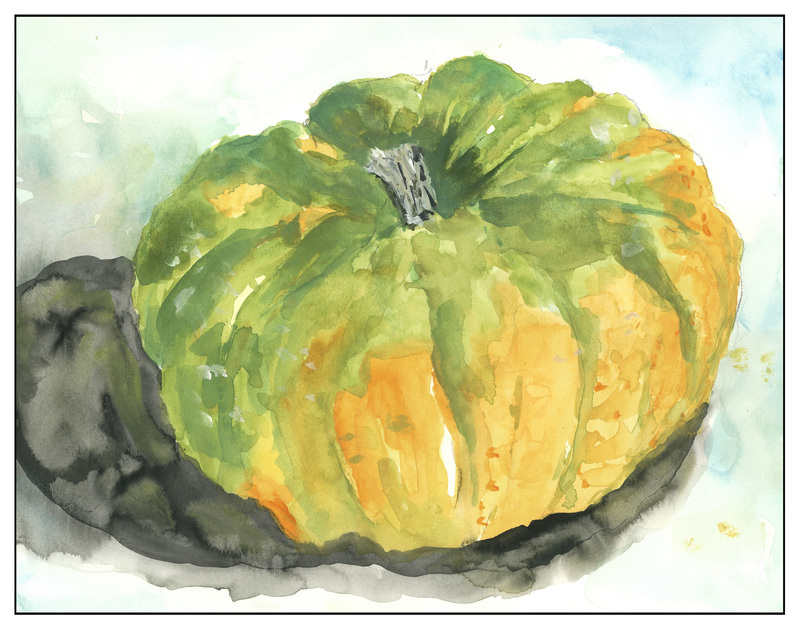 Traditional watercolor dictates paint from light to dark. For me, this is elusive. It may be difficult for me as I have no depth perception (yeah, really! I still function!). 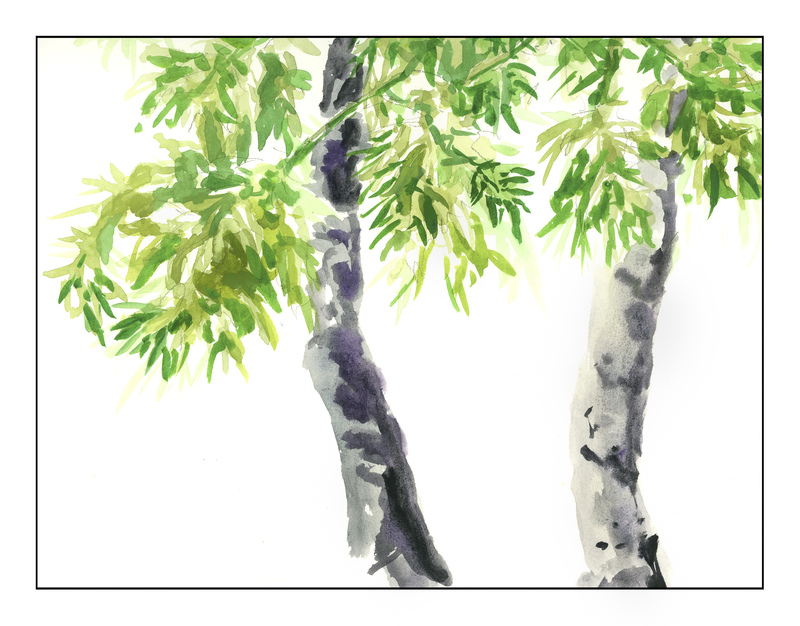 So, this one little step helps me here – will it help doing plein air or other subject matter? Finally, I am slowing down. The pear I did earlier this week, and today’s gourd above – and even the pumpkin from the other day – took a couple to several hours. It meant looking carefully, seeing light and dark, texture, gradations, and so many other things. It will be interesting to see how these lessons affect future painting endeavors. One of the absolute best things about having a blog, on any subject, is that the world comes to you and, if you look, those who read and look at what you write often provide support and care and concern. Even if you haven’t met, relationships develop. There are a lot of people who inspire me, and who send me off in other directions. Reading others’ blogs, too, even if they don’t read mine, are still forms of connection in areas of common interest. 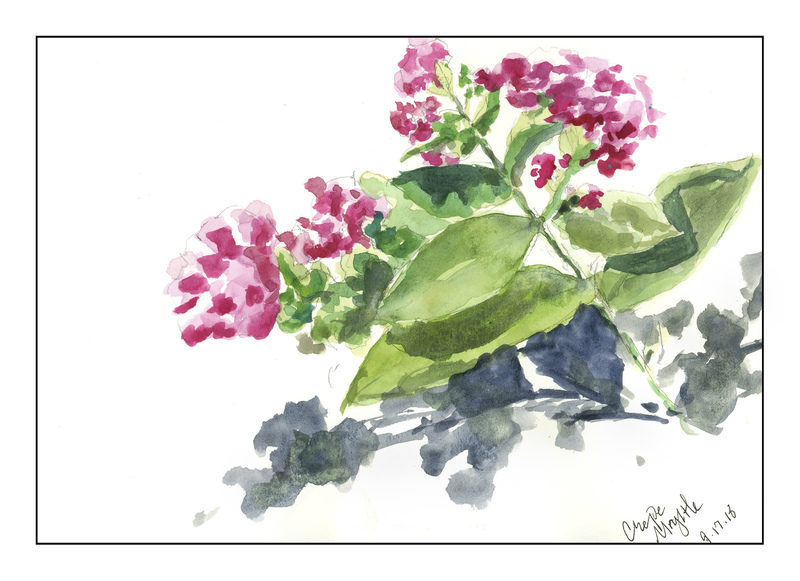 Today, I want to thank Breathing Deeply because she has said some very encouraging things – but, more – she has mentioned on her blog that she is taking classes online from Anna Mason who is a botanical watercolorist. Well, I have seen Anna Mason’s work. 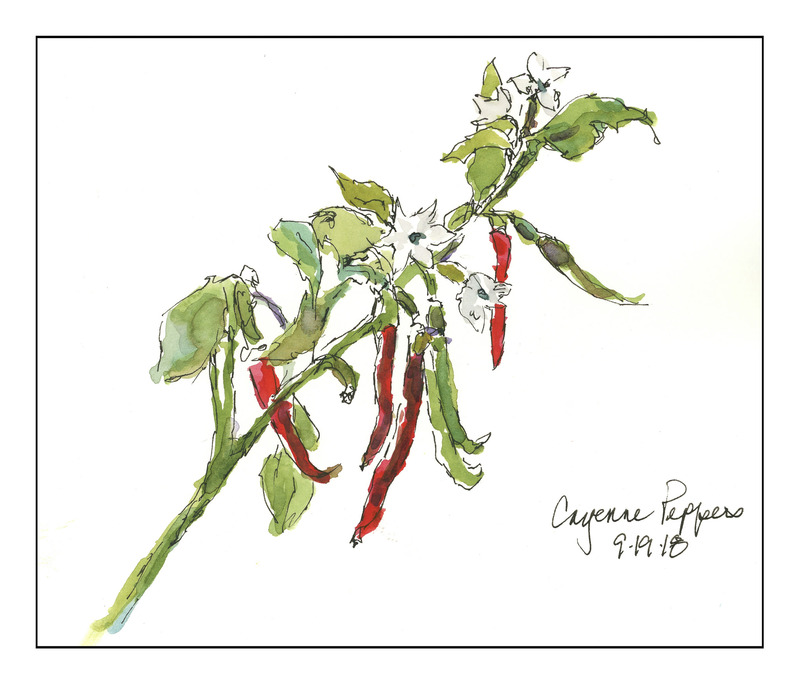 She is a self-taught botanical artist. Botanical art is detailed and realistic, and in some ways, not really what I aim for. Anna’s work is refreshing and beautiful. And, she has online courses. 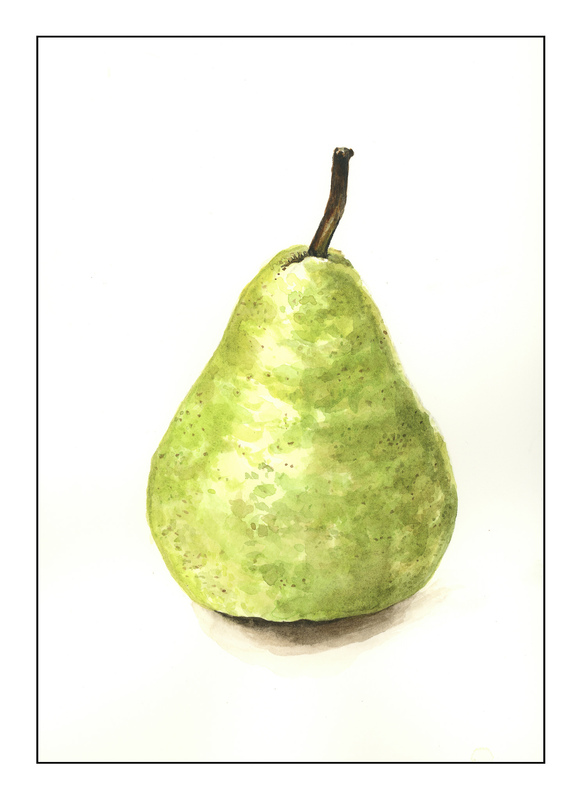 A free one to show you her teaching style, one in which she walks you through how she approaches a simple D’Anjou pear. Clearly stated, simply done, I decided “what the hell!” and dived in. I think I might sign up! I really enjoyed what I learned, and to my way of thinking, perhaps a realistic approach will slow me down when it comes to painting. I am hasty and careless, don’t think ahead as much as I would like to when painting. My impatience leads to frustration. So, thank you Breathing Deeply for your kind words and for your own bloggy inspiration, and to Anna Mason for providing a very nice approach to painting. 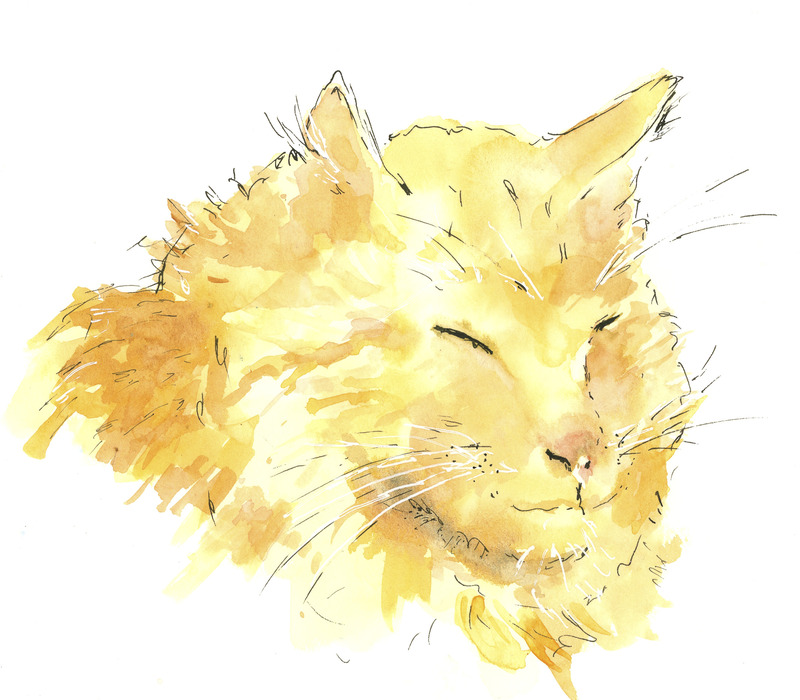 I am continuing the simple task of a sketch or watercolor or ink-and-watercolor every day while I have time. I admit I am afraid to go much further than that. Why? Good question. Our backyard was filled with about 18 trees, far too many for the allotted size. We had 5 trees removed and the remaining pruned backed. Eventually all but 2 will be removed, roots dug out, stumps ground down. I don’t know what this guy was thinking when he put in all these trees – I had neighbors I didn’t even know I have stop to tell me how much nicer it looked and they had “told” him he was putting in far too many. We can actually see the sky at night! That said, after the crepe myrtle, I moved onto the podocarpus, which are rather lovely or ugly trees, depending on my mood! For now, I’m just doing simple things – not that these leaves were simple. The leaves of the podocarpus in our yard have leaves that grow in clumps, rather like bamboo in shape, but totally not bamboo. Still, the leaves may be painted with the tip of the brush, a bit of downward pressure, and then a rise to complete the shape. I tried to paint around highlit areas – making a leaf or leaf shapes with green, and then working toward the darker areas. I keep forgetting what a challenge watercolor can be, but it makes me so happy to do it, whether or not I am especially successful! For the first time in weeks, I have had the wherewithal to paint. These past few months have been rather nuts, and the mental space to focus on the simple pleasure of painting has not been mine to enjoy. This morning, I sat down under the big umbrella in the back yard, pulled out my iPad, and took a few pictures of some low-growing crepe myrtle branches and flowers. A water brush, a sketch book, and no expectations. Parts are good – parts not so good – contrast is lacking – but I am feeling pleasantly surprised about this small sketch.